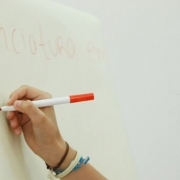 Learning or Work: What’s the Focus of Your Classroom? When I worked in the United States, I had the opportunity to be part of a partnership with neighboring school districts and businesses to open a STEM (Science, Technology, Engineering, and Mathematics) charter school. As part of the curriculum planning, we met with research scientists and engineers to discuss how to prepare our students for the 21st century. 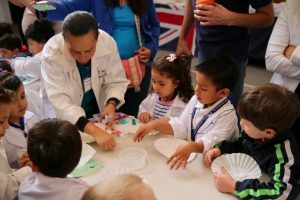 These engineers and scientist all has a similar message: they emphasized the importance of developing thinking skills and the ability to work well with others over content knowledge. 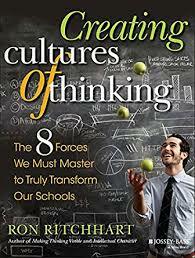 Ron Ritchart, in his book Creating Cultures of Thinking: The 8 Forces We Must Master to Truly Transform Schools, provides practical guidance for classrooms and schools that want to foster an environment that promotes thinking skills and cooperative learning. As Ritchart’s describes key practices that develop a culture of thinking, he makes the distinction between classrooms that facilitate work versus learning. A classroom where work is the focus has a greater emphasis on task completion instead of the learning process. In these classrooms, students often ask, “How long does the paper have to be?” or “Will this be on the test?” The assignments in this classroom are done to please the teacher instead of for personal growth. 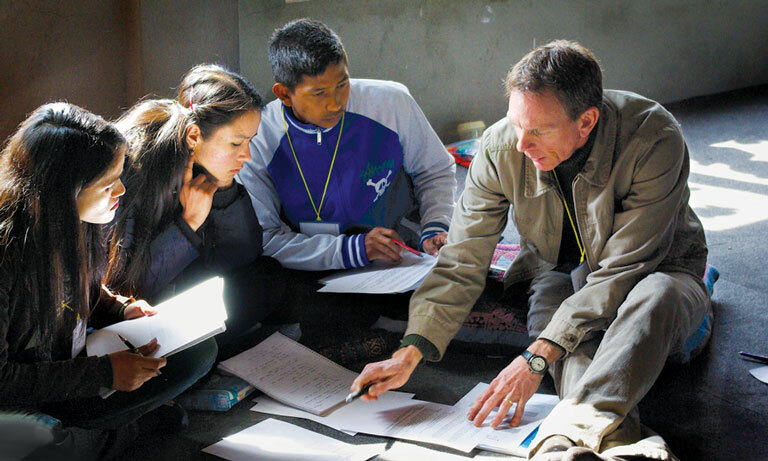 A classroom focused on learning, however, has deep understanding as its focus. When the teacher introduces a learning task, she focuses on the process, and not only on the product. Students are often given choices on how to demonstrate their learning, and while they are working, the teacher is listening to their conversations, seeking to reveal students’ thinking. Mistakes and errors are celebrated and viewed as opportunities for growth. One way move the focus towards learning rather than work is through the introduction of thinking routines. Thinking routines are ongoing and familiar practices that become integrated into the culture of the classroom. Harvard Project Zero’s Visible Thinking project has done considerable research and development on practical thinking routines that promote learning. In Ritchard’s book, he emphasizes the importance of establishing these types of routines in order to empower our students and help them grow as critical thinkers. Routines are established by frequent use in the classroom so that they begin to guide the way the students think. Choose a question to imaginatively explore. Explore it by imaginatively playing out its possibilities. Do this by: Writing a story or essay, drawing a picture, creating a play or dialogue, inventing a scenario, conducting an imaginary interview, conducting a thought experiment. What do you think you know about this topic? By activating prior knowledge, the teacher emphasizes that learning in a process. She is concerned about what the students know so that she can guide the new learning; she listens to the learning. What questions or puzzles do you have? This question celebrates uncertainty and is used as a motivator for new learning. This question can also be used to identify possible distortions of truth, which is a practical way of integrating the Bible into the classroom. What does the topic make you want to explore? The exploration is an important part of the learning process. The individualized focus of this question causes the learning to be personalized; it puts the focus on the learner, not on the teacher. 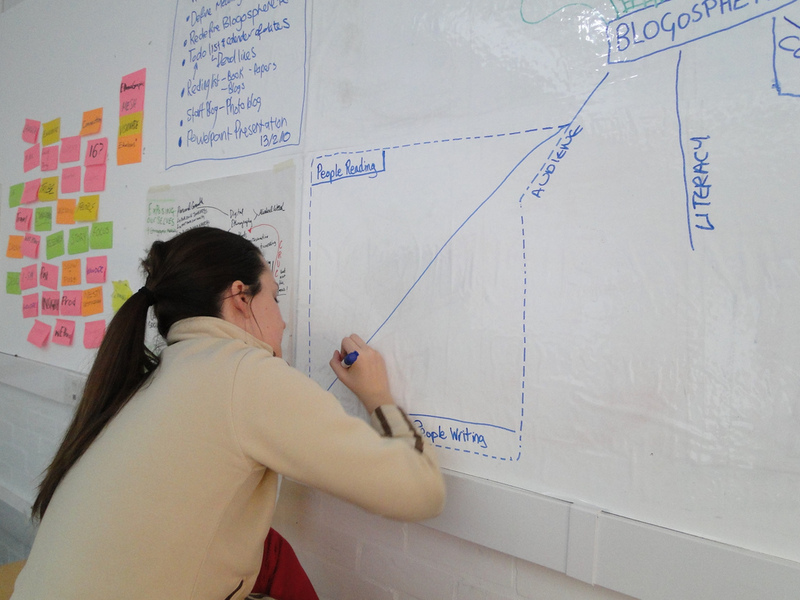 The teacher also models how to create a plan for new learning. This routine is simple, but when used correctly, it can be a powerful tool in help foster a classroom that focuses on learning and not on work. 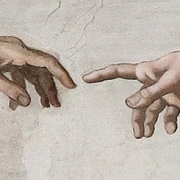 As Christian educators we must emphasize the importance of learning over mere work completion. If we teach our students how to learn, and not just what to learn, we are equipping them with tools that will help them discern truth while developing a deep understanding of God through studying his created world. We are equipping them to be agents of change and transformation by giving them tools to be critical thinkers. Ritchhart, R. (2015). Creating cultures of thinking: The 8 forces we must master to truly transform our schools. San Francisco, CA: Jossey-Bass. Visible Thinking. (2018, February 26). Retrieved April 04, 2018, from http://www.pz.harvard.edu/projects/visible-thinking. Photo Credits: Science Lab. Bridgeway North American School, Mexico City, 2017.